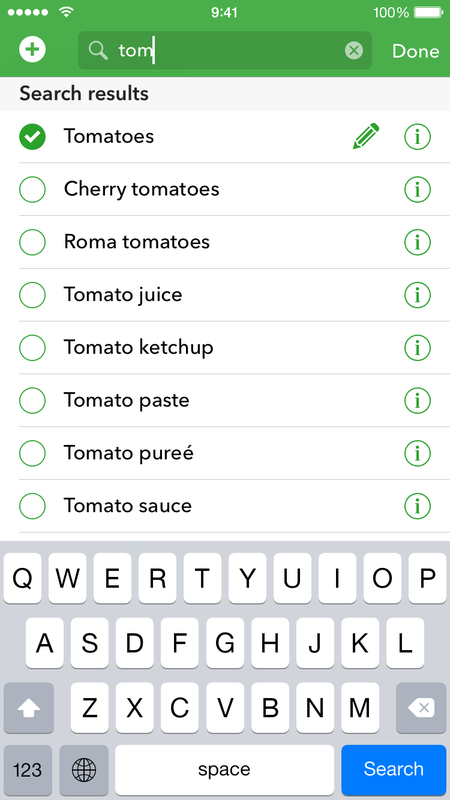 Your grocery shopping list on the iPhone. 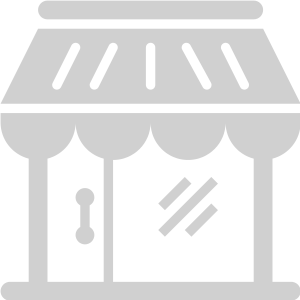 Forget pen and paper or simple todo apps. Save time. 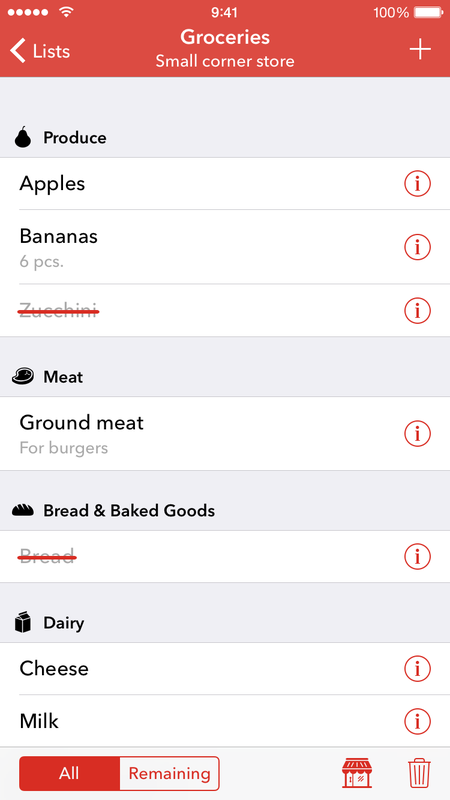 Compiling your shopping list should be quick and easy. 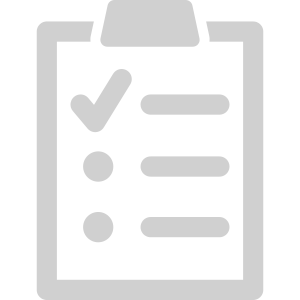 That's why Milk for Us comes pre-filled with a carefully crafted collection of hundreds of generic products. Just start typing "mi", tap on "Milk" and done. 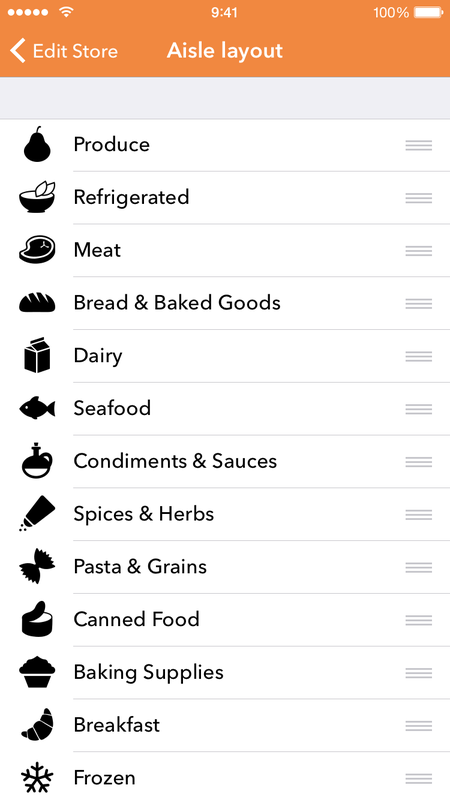 And: The more you use the app, the easier it becomes, because Milk for Us learns what you buy most frequently. 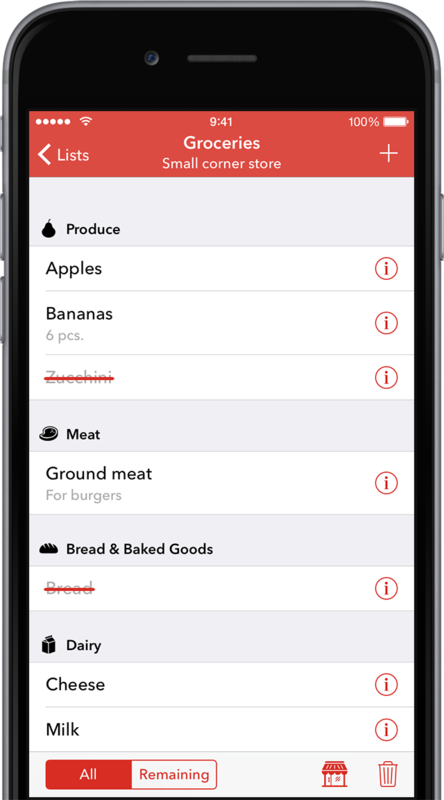 Don't like spending lots of time in the grocery store, walking back and forth between the same aisles? 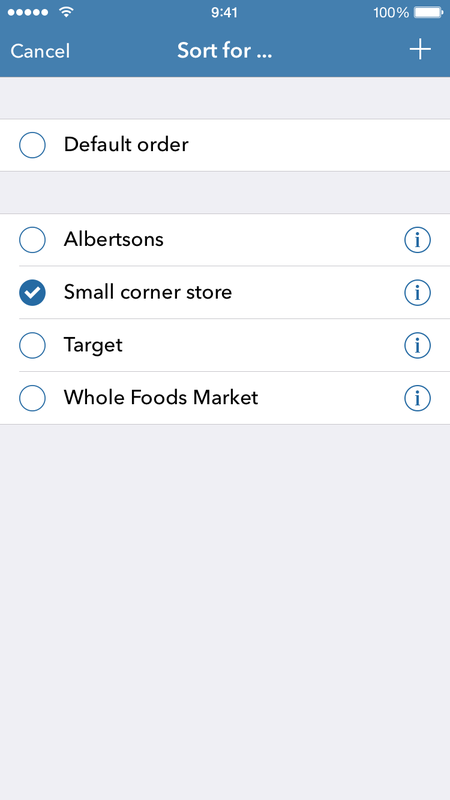 Milk for Us allows you to configure different stores, each with a different aisle layout. 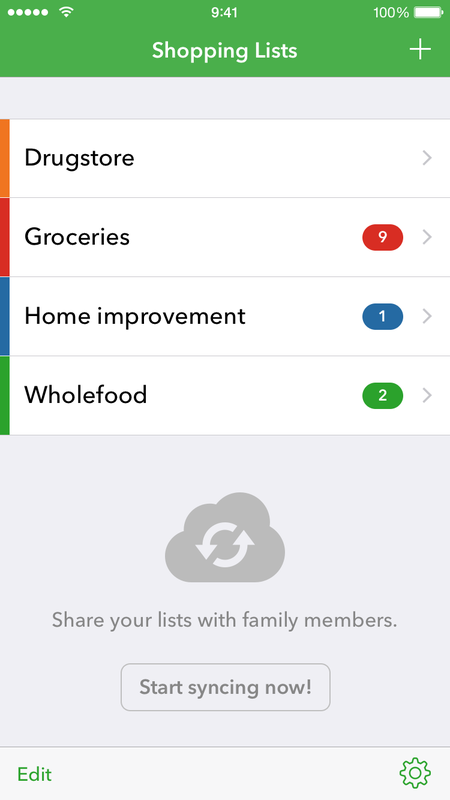 So when you go shopping, you can sort your lists for the store you're currently at. With Milk for Us, everything is always in sync. Just opened the last bottle of water? Put it on the list and no matter who goes shopping the next time, you won't forget to buy it. 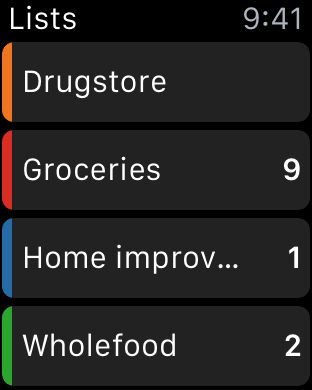 And sync is blazing fast: You can go shopping together and see what your partner checks off in realtime while walking through the store! 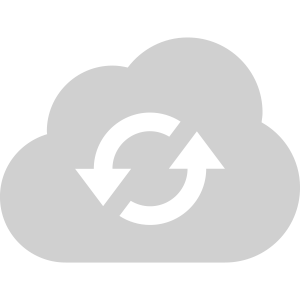 Please note: Sync can be activated through in-app purchases. 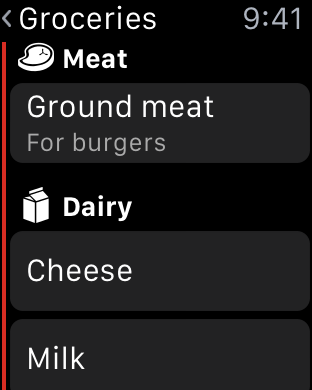 Milk for Us comes with an Apple Watch app that gives you access to your lists without even having to pull your phone out of your pocket. 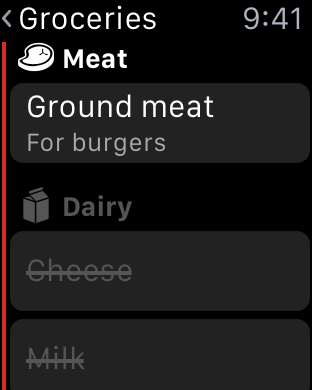 You can check-off items directly on your watch, too. 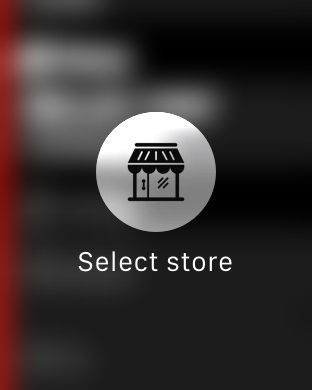 Of course, it also supports selecting different stores, so your lists are always sorted correctly. 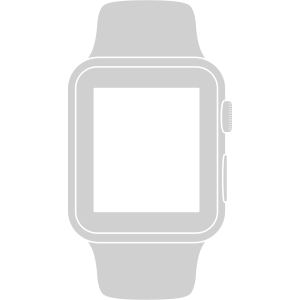 And while you pass by your grocery store, just have a quick look at the Milk for Us glance to see if you need something.